Katherine Newman has written books on poverty and economic mobility. Columbia Point sits just a few miles from the Financial District and its gleaming skyscrapers. For many University of Massachusetts Boston students, though, those office towers can feel like they are half a world away. Maybe not for much longer. Not if interim chancellor Katherine Newman has her way. Newman has been blazing a trail through Boston’s business community in the past few months, meeting with as many leaders as she can. 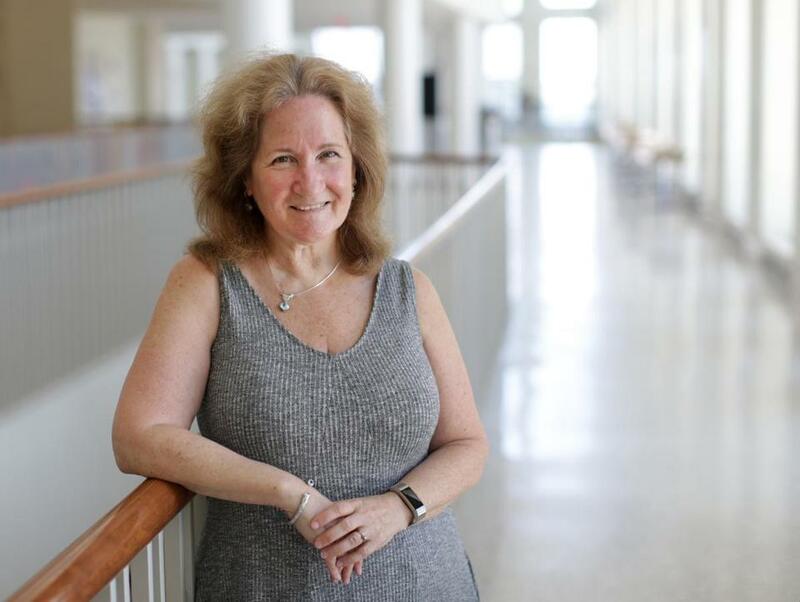 Her mission: bridging the gap between the UMass Boston campus and the major employers located within a short ride on the Red Line. Those companies obviously have some things she wants: jobs for UMass Boston students, more exposure for the faculty. But Newman has something to offer, as well: a deep pool of diverse workers. Newman has struck a chord as the city’s business community collectively wrestles with diversifying its talent pipeline. The first formal result of this outreach takes place Tuesday when representatives from the financial sector visit the campus to meet with students, faculty, and administrators. This will be the first of many UMass Boston “clusters” — half-day meetings largely focused on a specific industry or discipline, tailor-made networking opportunities for students and teachers. The visiting executives will review aspects of the school’s curriculum, with a goal of ensuring the skills being taught match the ones they need. Consider what’s happening with the Big Four of the accounting world: Deloitte, EY, KPMG, PwC. Darren Donovan, KPMG’s managing principal for Boston, says his firm is eager to build a more diverse workforce but doesn’t typically recruit from schools such as UMass Boston. Donovan and Newman connected in January at the Commonwealth Summit, the annual powwow of civic leaders, and Donovan took the cluster idea back to the local leaders of his three rivals. They’re now all on board for an accounting cluster later this month. Newman hopes to see immediate benefits. But she’s also looking down the road, at the old Bayside Expo property. UMass recently secured a long-term lease with developer Accordia Partners to convert the 20-acre site into a massive complex that could become home to major life sciences companies and other high-tech employers. Newman wants the school to be ready to capitalize on the project’s proximity, much like how MIT and Kendall Square’s corporate community have long been intertwined. It’s hard to know what difference this outreach will make for UMass Boston’s well-documented financial problems. (That $235 million from the Bayside deal should make a nice dent, though.) This isn’t about those fiscal issues, Newman says. Instead, it’s about what she sees as a public university’s mission to engage with the community. Then there’s that “interim” part of her title. Newman talks like someone who will be steering UMass Boston for the long haul. She took over last summer after a botched search for a new chancellor — a faculty council rejected all three finalists. UMass officials haven’t started a new search yet, and they expect to decide their next steps before this school year wraps up. Newman makes no secret about her interest in the job. For now, Newman is seizing this opportunity to put her academic work into action by trying to solve income inequality, one meeting at a time.